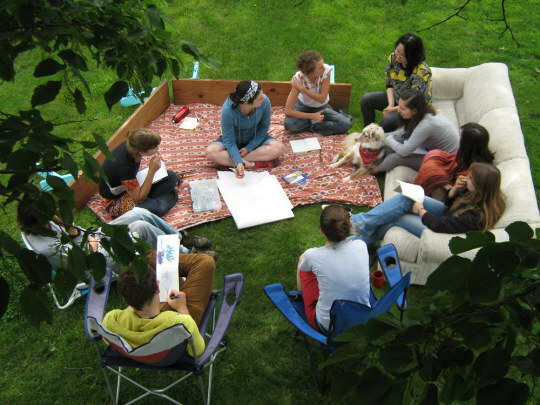 Our Mission: Duckyard explores radical, non-hierarchical collaboration as a way of working, living, and playing together. During our annual residency, we investigate subjects that are social in nature and seek to communicate our newfound insights through the inventive use of various media. Want to work, play and create with Duckyard? Come join us for a week in Iowa this summer. Our summer session is a time for us to come up with a project to do together all while envisioning new ways to communicate stories and ideas. At Duckyard, you’ll work hard, eat well, and play a lot. You’ll share space with like-minded others and make new friends.